We’re heading to the Capital! Today we had an early start as we said our goodbyes to Musanze and headed for the capital, Kigali, for the second leg of our CWB adventure. Having travelled most of the way to Musanze in the dark , we were very much looking forward to our drive through the Volcano National Park. We were not disappointed. The landscape was stunning, as beautiful as I have seen on my many travels. Undulating, fertile hills and valleys ablaze with verdant crops and vegetation. The good quality roads allowing easy navigation of some precipitous hills. All this is done at at the pace of a Giles Watkins donkey drop, as a inhibitor fitted to the bus limits the speed to 60kph.The other obstacle to progress inRwanda are the regular vehicle checks conducted at police roadblocks. Unlike other East African Countries these are purely in the persuit of making the roads safer. There is not even a whiff of corruption. The bus play list was making its debut and debates about should what and should not be included raged until we arrived in Kigali. Pink, Simply Red,Snow Patrol, Pharrell Williams and Tom Jones made early appearances. My attempts to pull rank and have Beethoven’s 23rd Piano Concerto, in F minor included,fell on deaf ears. We were met by Charles,the project co-ordination, who explained that his was a residential school for street children. 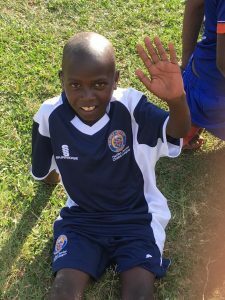 We have often encounter street children as playing fields are seldom fenced and they seldom need much encouragement to join in. Any protests from the school teachers are managed as this is non negotiable for CWB. However, to visit a school dedicated to providing for them is very rare. In such situations I find myself swallowing hard to hold back the tears as these kids abandon themselves to the simple pleasures of playing games of rapid fire cricket. Even one in a wheelchair. We leave what little clothing we have with us behind, humbled by the sacrifice Charles and his staff make to give these children to the basics of life that we take for granted. Most of all a protective environment and even a shared surname, Nivonkuru, meaning the godly one. I hope our ambassadors return soon. Finally, we continue to the village school of our Ambassador “Tall Eric”. 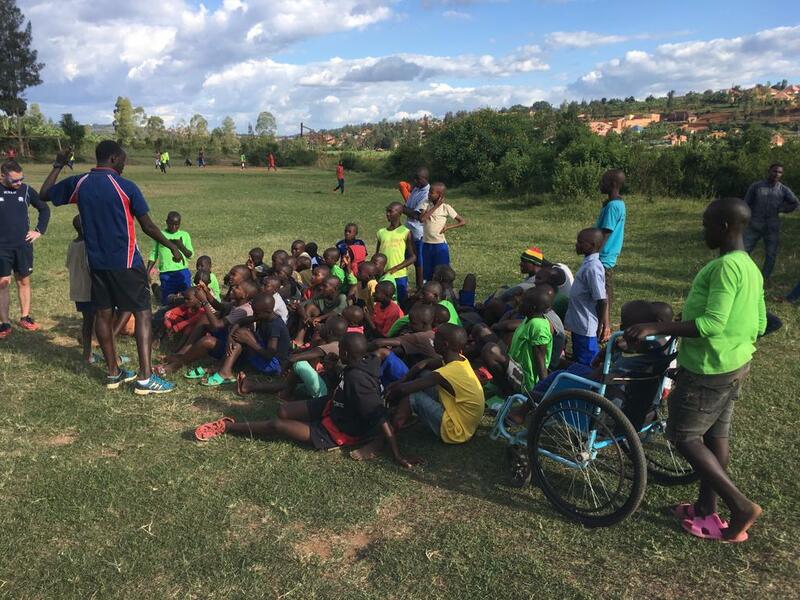 Here the children, have access to one of the most experienced coaches in Rwanda it it is clearly seen in the level of cricket ability that they display. We have a couple of hours of coaching aimed at improved their key skills. Not by too much though, as some of them will be playing against us in a match at the National Stadium the next day! After another day crammed with activities and memories we head to our hotel in Kigali, The Solace. It is part of a missionary, so we shower quickly and settle for sustenances of the body rather than the soul and head for the nearest bar!